CAST:ONE BUCK TUNER(東京) / POTETO HEAD CRANK(出雲) / FOEVER STAY YOUTH / 3gria / TWNCA andmore..
CATCH ALL RECORDS presents V.A. / MAXIMUM ROCK’N ROLL　詳細発表!! 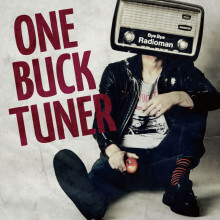 © 2019 ONE BUCK TUNER WEB SITE. All Rights Reserved.